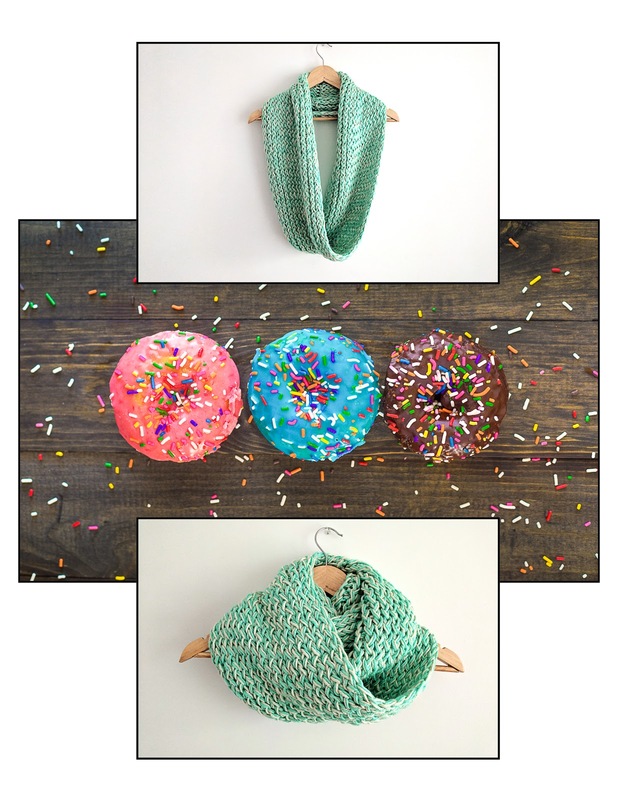 Loom Knit Infinity Scarf Pattern (Free) | Loom Knitting by This Moment is Good! Hello, My name is Hilary Lamb and I'm the face behind Milky Octopus. I started in crochet, but over the years I've learned that it wasn't just crochet that I loved. I also loved loom knitting and weaving. And cross-stitching and embroidery. What I really loved, was working with yarn. It was then I realized that I didn't have to limit myself to any one technique and that opening myself up to more than just crochet, gave me the license to truly create anything I wanted. So I did. You can find me on my Blog and on Etsy. Gauge: 7 sts and 10 rows = 4 inches in twisted stockinette stitch. Yarn: Red Heart Soft, 100 % Acrylic, worsted #4 weight, 256 yd / (234m), 5oz / (141g), approx. 400 yds/365.8 m needed for the entire project. A glossary of terms complete with video links is available at the top of this blog under the Learn Tab. 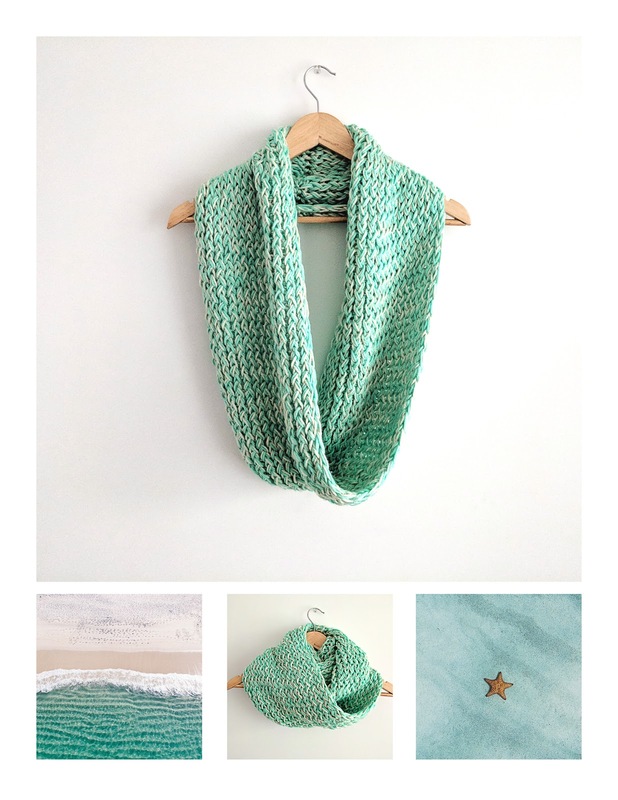 This is a quick & easy loom knitting project, that produces an elegant looking scarf. 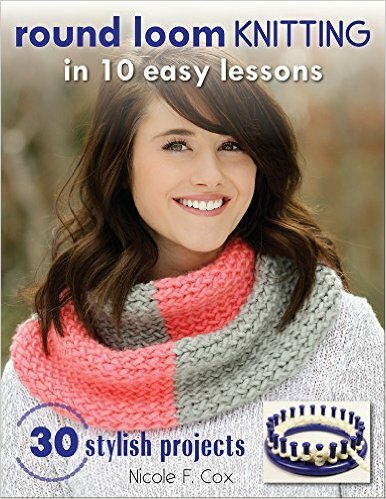 Perfect for the beginner loom knitter. 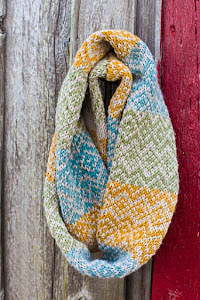 The scarf is made by knitting a long rectangle that is twisted once, and sewn together along the short edge. Two colors, held together as one, are used throughout pattern. Note: This is a double knit scarf and uses both sides of the loom. Foundation Row: Using 2 strands, e-wrap CO the entire length of the loom, using the figure 8 wrap (see fig.1). Row 1: Ewk all pegs, continuing to use the figure 8 wrap. Repeat row 1 until the body of the scarf is about 40 inches/1.02 m long or you are near the end of both skeins. Make sure you leave enough yarn to bind off the loom. Bind off, any method you prefer. Finishing: Twist the scarf once, fold in half, and line up the cast on and the bind off edges (short ends) together to form a loop. Optional: Use your stitch markers to hold the two ends together evenly to make seaming easier. Using your yarn needle, sew the cast on edge to the bind off edge. Weave in ends. 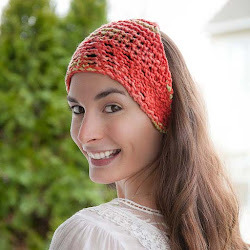 Note: This pattern was designed by Hilary Lamb and has not been tested by This Moment is Good. 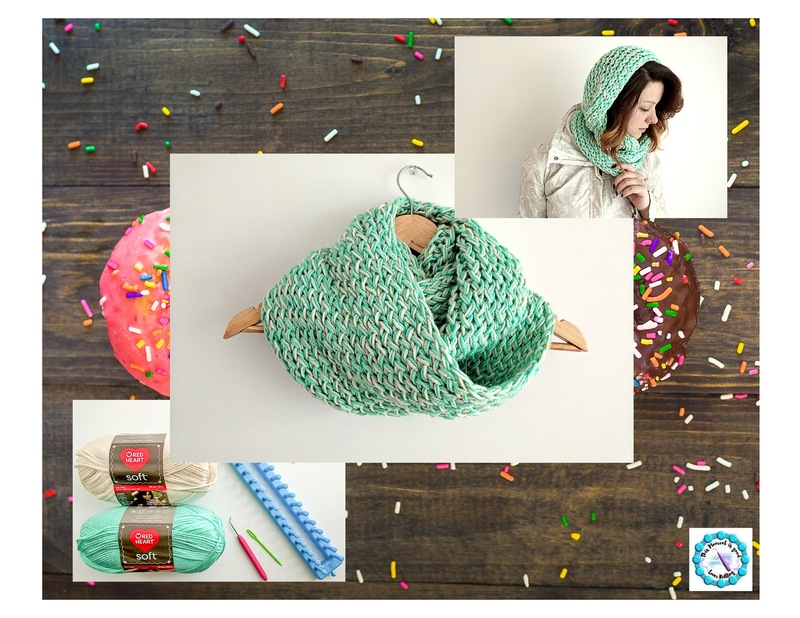 Please keep this in mind when loom knitting this pattern. Pattern copyright belongs to Hilary Lamb, please do not copy/sell/redistribute this pattern without the designers' permission. The final pattern was edited by Nicole F. Cox. If you wish to be considered as a guest designer please see above entry rules under the "about us" tab. Photo credits go to Nicole F. Cox, Hilary Lamb, Amy Humphries, Linus-Nylund and Patrick Fore- Thank you. I like color and the drape of this piece. The free patterns must be worked off the blog. Unfortunately the blog information is being stolen and placed on other websites/blogs. Thank you so much Christine, Tami and Jonnita! I have not made a cowl yet but have made many hats, scarves, and much more. By the way, thats a beautiful color and design. Thank you James, I'm sure Hilary appreciates your kind words!